Book your place at this free event via this link. Safeguarding, GDPR, sustainability – high profile cases continue to dog the charity sector and, by association, affect all charities. 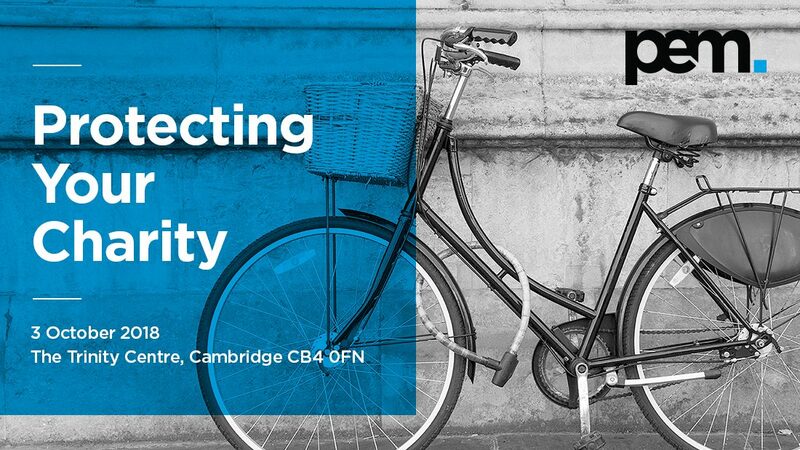 As part of PEM‘s autumn charity seminar series, the event on 3 October at the Trinity Centre looks at how charities can protect themselves from reputational risk and loss of data and reflects on securing future income streams. Jon Stanton from 4Cambridge will be presenting on the impact of GDPR. The new GDPR rules went live on 25 May, but what impact has this had on how charities protect personal data? Is it now job done, or have we only just begun?